Many people have asked me how my family reacted to my starting the Swami Vivekananda Youth Movement and giving up a mainstream medical career and going away to the forests in H.D.Kote Taluk. Recently, one of our friends and well-wishers suggested that I write about it in our blog. I still remember those days very well. I was in the para-clinical part of my medical course and had been to Bangalore for the weekend. I was talking to our family friend, Mr.Varadarajan about starting an organization and was seeking his counsel on how to go about it. My father overheard this conversation and wanted to know more. After hearing it from me, he responded in the most unlikely manner. I had actually expected him to explode and ask me to concentrate on my studies. Instead, he patiently heard me out and asked me if this was going to be a passing fantasy or a firm lifetime commitment. This question did put me off. I had neither anticipated this nor had asked myself this question. It took me some time to answer and without really thinking through the consequences, I answered that I intended to make this my lifetime’s mission. I could not figure out whether he was happy or sad that I wanted to do this. After all, he did have his aspirations for me. My sister was in Canada at that time and my brother was to leave in the next few months. It was only normal for him to have imagined that US or Canada would be my calling. He told me that what mattered to him was that I should be happy in whatever I do. He was confident that I would make a success of whatever I chose to do with my life. He advised me that i should consider studying as much as possible and get into social work after completing post-graduation. He had come up in life the hard way. I even remember him talking to me about how he had to go many days without proper meals during his graduation days at Tiruchirapalli in Tamil Nadu. He was determined to see that his children would not go through the same ordeals and he wanted each of his children to have the suffix ‘Dr’ beside their names. To be fair to him and to my mother, they never once dissuaded me from doing what I liked. This was indeed great encouragement, coming from a typical Indian middle class family, which always aspired to send their children abroad in search of greener pastures. My sister and brother were equally supportive and have always stood by me. 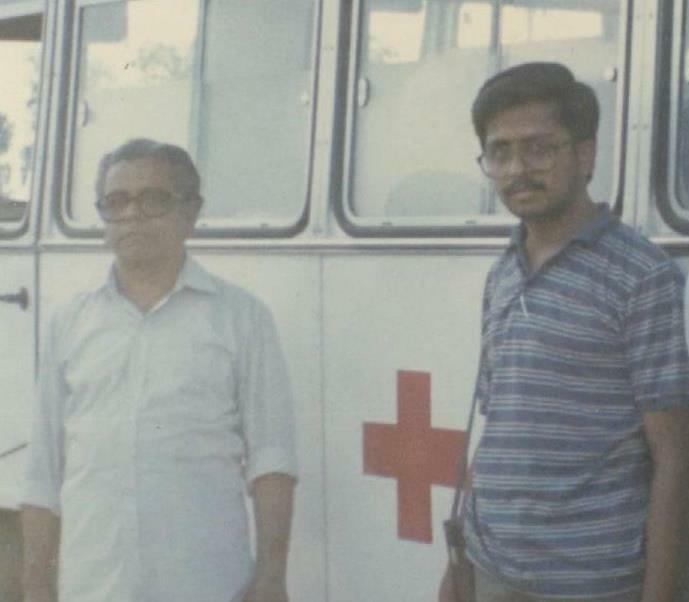 I still remember my sister coming down to Brahmagiri with her three year old son in tow to attend the inauguration of our dispensary in 1988. Family support has been so much that my brother in law, Dr.Narasimha Murthy offered to set up SVYM of North America at his place in Fullerton, California and has been managing it for more than 5 years now. My father was indeed overjoyed when I decided some years ago to do my M.Phil from BITS, Pilani. He was proud when I told him that I intended going to Harvard University for my Fellowship and Masters in Public Administration. Though he has been keeping poor health in the last few years, I remember what he told me before I left India – that he would definitely live to see me graduating from Harvard University, which he always considered the best in the world. Next Article (20) The incredible story of how we got our 80 (G) exemption!